An open letter, written by Wayne Paulin, PWW Volunteer. Hello, my name is Wayne Paulin, and I had the incredible opportunity to join the crew of Pure Water for the World in April 2018. Being the president of the Rotaract Club of Cocoa, at Eastern Florida State College, presented me with the opportunity of a lifetime. One of my responsibilities as president of the Rotaract Club is to bridge the gap between our club and our sponsoring Rotary of Cocoa. While attending their meetings, I was invited to join them on their trip to Honduras in April. 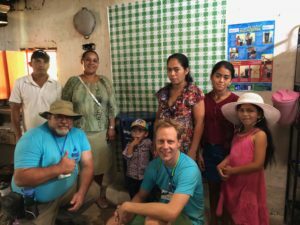 For me, personally, this was an incredible journey that allowed me the opportunity to volunteer and help the people of Honduras that needed one of life’s basic necessities: clean drinking water. Being a Navy veteran, traveling all over the world and seeing different levels of poverty, I thought that this trip would not touch me in such a profound manner personally. However, I was wrong. To see the people of the mountainous rural area of Honduras was a unique opportunity that I will cherish for many years to come. I found it amazing that no matter how little that we Americans thought they had, they were extremely happy in their humble dwellings. Not once, when we entered someone’s home, did they not offer us some kind of food or drink. All of the people of Honduras that I met were extremely grateful and would offer us anything that they owned without hesitation. Hondurans are truly remarkable people and deserve all the help that they can get so that they can prosper and be healthy. 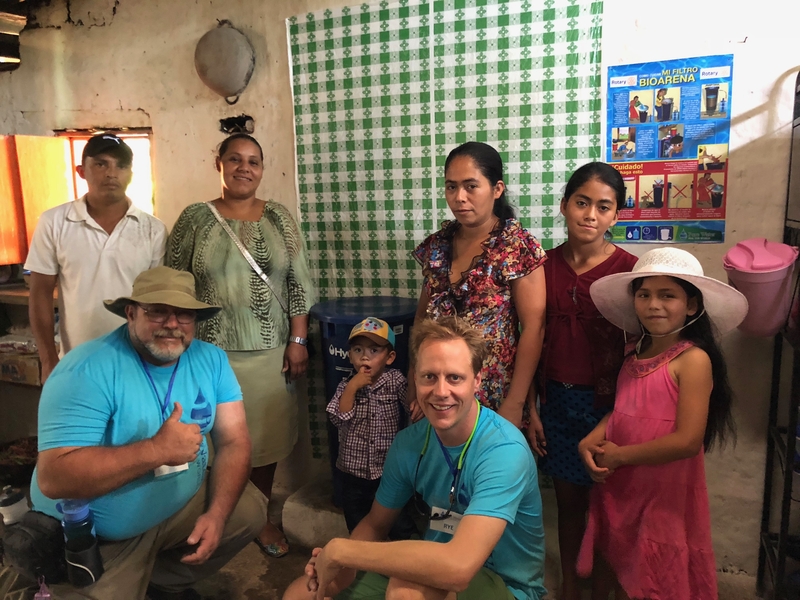 Wayne, pictured left, and fellow volunteer, Rye Thompson, with a Honduran family who now experiences life with safe water. While volunteering we were always received like we were part of the family. When we arrived to their homes, we were greeted with beautiful touching smiles and hearty handshakes. And, upon completing our mission, we received heartfelt gratitude. Another aspect of this trip that was truly moving was the interaction between Pure Water for the World’s volunteers and the local children. Handing out small gifts to these young children was amazing; a new shiny matchbox car, rubber duck or candy would bring such an amazing smile to their face that you could not believe. I had the opportunity to visit several different schools and hand out Spanish dictionaries that the Rotary Club of Cocoa had generously donated. This was an amazing thing, after all education is to key to all success, and by giving these dictionaries to the schools we were able to change their lives in ways that we can’t imagine. Lastly, I had the opportunity to meet some amazing like-minded individuals that strongly believe in service before self. From Maria and Oscar and all of the Pure Water for the World staff in Honduras, to the 19 volunteers that came together from all over the states to give their time to help complete strangers, we will always be joined together with fond memories of an amazing service project. The week went by flawlessly, with expert scheduling that allowed us not only to volunteer and help the people in Honduras but to enjoy the local cuisine and culture. Without the strong commitment from individuals like Nathalie and Eric, this program would not exist, and I am grateful to have met them all. The sense of accomplishment by everyone of our team for a job well done was amazing. 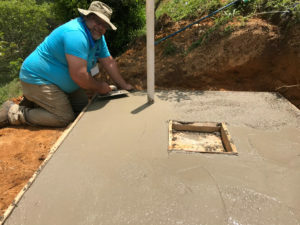 At the end of our amazing trip we were able to install 35 water filter systems, handed out 60 dictionaries, built two male-female latrines with hand-washing stations, and provided de-worming medicine to two communities. This truly was an amazing opportunity that everyone should try to do at least once. It really gives you a sense of perspective and how much we take for granted here in United States. If I ever have the opportunity in the future to go again, I would not hesitate for a second. The entire PWW team extends our heartfelt gratitude to Wayne for writing this beautiful letter. Thank you so much for sharing your hard work, your expertise and ideas, and your heart with our team, the 19 volunteers, and the children and families you touched. We are truly grateful! Interested in joining PWW on a trip that will change lives? Learn more here. PWW Travelers Honduras, PWW Travelers, PWW Trips, PWW Volunteers, Travel, Travel for Good, trips, volunteer, volunteer for good. permalink.